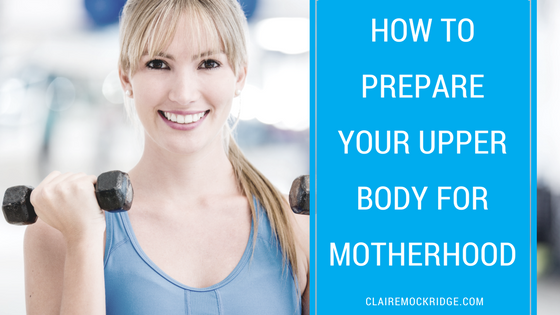 Your upper body takes a pounding as a new mum, and one of the things I don’t skimp on in my pregnancy fitness,and pregnancy Pilates classes is shoulder and arm strength work. THE number one thing to do now, particularly if you’re pregnant and you’re reading this in preparation for motherhood, is to start carrying things in your arms – now! If you realise that you ALWAYS carry objects like your gym bag, handbag, purse etc over your shoulder, or in your hands down by your sides, you are NOT working your upper body that effectively. Do you travel a lot for work and trundle a suitcase behind you from venue to venue? Or, have you had your baby and you transport your baby around in their buggy? Yep, well as soon as you add the word “convenience” IN to the equation (that’s the wheels on your suitcase/buggy there), you’re taking OUT natural body movement and muscle use. Strengthening your biceps is easy – you just need to practise carrying more things using your arm muscles. And, let’s face it – holding objects with your arms is pretty much mimicking the very action your body and baby is going to ask of you, isn’t it? It actually seems so simple until someone points it out to you, huh? I’m not a big fan of shoulder bags, or carrying a backpack hanging off one shoulder (they have 2 straps for a reason, huh? ), and I’m hoping that’s sort of obvious here…? Try this: put your rucksack on, throwing the bag over your non-dominant arm shoulder first, and you’ll soon see how that muscle/brain patterning just feels weird. Think of how many times you’ve done this on your good arm since you very first started wearing a rucksack, and it may just highlight some issues there. I eventually broke the habit, and am now able to effortlessly put my rucksack on over my left shoulder first, but it did take quite a few weeks to train the pattern into me. There will be times when you’re holding your baby in one arm, and be expected, for whatever reason, to perform another task with your other hand. Doing anything one-sided, or loading one area of your body more than another area, is one of those statements, where the answer is in the key words: “one-sided”, “one area”, and “more”. You already have one side to your system that you use more dominantly, so over-using that same side is sort of attributing to the same problem. I’m not asking you to become ambidextrous, and if you happen to be gifted this way, then that is just awesome! If you’re carrying your baby in arm, and doing other stuff with the other, over and over and over, you’ll soon start to feel it. 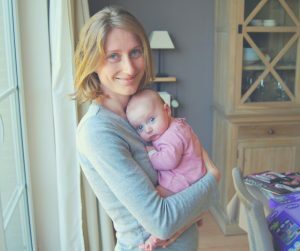 I never said being a mum was easy – it’s not just emotionally draining, but physically demanding too as you can see, and it pays to be prepared. STILL LIFTING YOUR SHOULDERS UP WITH EVERY MOVE? Well, my number one tip here would be to notice how often you do this, stop it, and then realise that every time your shoulder is elevated under a load (your baby for example), it’s no longer stable, which in turn can lead to pain. So, relax your shoulders down, and use your arm muscles to hold onto baby instead of lifting your shoulders up instead. If you’re pregnant or postnatal reading this right now and concerned you’re not doing enough exercise that is specifically designed to strengthen your upper/lower body, then, you’ll want to book on my pregnancy Pilates classes in West Bridgford or pregnancy fitness classes in Lady Bay. 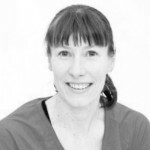 Pregnancy Pilates is great for building strength in your shoulders and pelvic floor, helps educate you about safe lifting techniques and teaches you about the best ways to hold and carry yourself to avoid injury. My Bump to Babe pregnancy fitness classes in Lady Bay provide cardio, toning, Pilates, stretching and tonnes of education about what happens to your body during pregnancy. And, if you’ve recently had your baby, my Little Black Dress Workout at 8:30pm in West Bridgford provides you with cardio and toning that leaves very few muscles unturned!